Ofqual has identified changes that exam boards must make to their assessments in time for the next year’s exams. Exams for A level modern foreign languages will be improved from summer 2015 onwards. 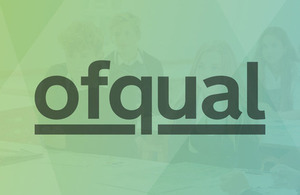 The changes are being made following a report by Ofqual, published today (26 September 2014). Ofqual’s report exploring assessment quality issues in A level modern foreign languages identifies changes that exam boards must make to their assessments in time for the next year’s exams. Exam boards will be required to ensure that their question papers differentiate in a more reliable way between the more able students in addition to addressing concerns regarding the design and underlying principles behind their mark schemes. These recommendations are being made to achieve greater fairness in the grades students receive. Changes to exam papers are required for summer 2015 with changes to the assessment of speaking being required in later years. These changes will not require any change to the way the subjects are taught or the way students are prepared for their exams. Exam Boards need to make sure that assessments are designed in the right way to differentiate fairly between students. It is vital that students, teachers and other users of these qualifications can have confidence in them and know that the results are fair. The changes we’re proposing will do that. Those that should get the higher grades will do so - that’s only fair. In many of the exams, a large number of questions were not effective in differentiating between students of different abilities, especially between the most able. Problems were identified with some of the mark schemes. Expert reviewers found instances where the principles for deciding what did or did not constitute a correct answer in the mark scheme were unclear. Marking rules were also identified that did not have a sound basis and appeared to be actively reducing the differentiation between students. The marks that students were awarded for speaking were very high. The relationship between students’ speaking marks on different assessments was also generally weak. This may also be a reflection of the lack of differentiation between students or may be related to inconsistent marking. In a number of instances, the relationships between the marks that students achieved in other elements of the exams (such as listening and writing) were surprisingly weak. While there may be other factors that influence this relationship, it suggests that issues may exist with the design of some questions or with the quality of marking of some elements.